THE EVER SO CLEVER LAOS ITINERARY. This Laos small group soft adventure tour package has the most thought out itinerary available for a real Laos experience. 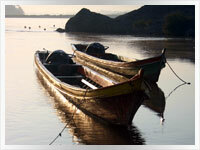 Have a soft adventure when we get on the Baktrax and experience the real Laos culture on local transport. Then relax, shop and/or party in Chiang Mai to finish rather than to start with as all the others do. You still visit and see all the major highlights just in reverse while avoiding many of the tourist hordes along the way. Start in fascinating Bangkok but rather than heading straight to Chiang Mai with the masses and going downstream, we head to Vientiane first and go upstream leaving Chiang Mai as the last destination to shop, party, dine or relax by the pool after the harder Laos travel is done and dusted. Do you really want to carry all your shopping bargains from Chiang Mai with you for the next two weeks? We thought not! Going upstream means we also avoid the tourist-packed slow boats and get to spend more time in scenic Pakbeng rather than arriving at dusk and leaving the next day at dawn as everyone else does. Pakbeng is a worthy destination in itself rather than just a place to sleep. Add to all that with a flight from Chiang Mai back to Bangkok to connect with your onward travel, the cost of your Laos on arrival visa fee and you soon realise that this is indeed the clever Laos itinerary in more ways than one. Tour of Luang Prabang area, (half day). Tonight our Laos small group soft adventure tour package will stay in; BANGKOK - Our Laos group tour officially starts when we check into our Bangkok accommodation. A welcoming dinner will be had in the evening. If you arrive early enough your free time could be spent visiting the amazing Chatuchak Weekend Market and/or, Wat Phra Kaew & the Grand Palace, Wat Pho, Wat Arun, Wat Traimit, MBK or Siam shopping centres or take a boat ride with the locals on the Chao Phraya express to some local shops in Nonthaburi. A few other options include Vimanmek Teak Mansion, Chinatown, Jim Thompsons House and Silom or Sukhumvit road shops. OR? Maybe lay back with a cold drink and/or have a traditional Thai Massage. A month in the capital wouldn't allow you enough time to see it all. D.
Tonight our Laos best tour package will stay in; VIENTIANE - A short domestic flight to Udonthani followed by an international bus is the clever and easy way to enter Laos. VIENTIANE - A full day to explore the laid-back Laos capital. Sightseeing may begin with a short Jumbo ride to the most important temple in Laos of Wat That Luang. After that most sights can be seen on foot and include Wat Si Saket, Wat Si Muang or wat Mixai among others. Then the Arc De Triomphe look-alike of Patuxai, Lao National Museum or enjoy a coffee and cake at the central Fountain Circle. Don't miss the Morning Market either, (open all day), which today resembles a shopping mall rather than the wet market of yesteryear. iPhone anyone? B.
Tonight our Laos best small group adventure tour package will stay in; VANG VIENG - Today we travel by bus to the small scenic town of Vang Vieng beside the Nam Song river. Vang Vieng is known as an adventure destination of sorts so for those interested there is rock climbing, caving or tubing down the river. For the rest of us walking around and enjoying the scenery with a coffee and cake in the bakery is enough excitement. B.
VANG VIENG - A full day to do some adventurous stuff or just explore this stunningly beautiful small town at leisure. With all the backpackers around a late night party will probably be easy to find also. Poolside at the hotel even? Vang Vieng has something for everyone. B.
Tonight our Laos adventure holiday will stay in; LUANG PRABANG - By bus today with some stunning scenery along the way will see our Laos group travel tour in the wonderful UNESCO World Heritage City of Luang Prabang. The best way to experience Luang Prabang is with a leisurely stroll. First up, while you still have the energy, try walking up the hundred or more steps to Phu Si Temple with fantastic Mekong river views as the reward. Then onto, in no particular order, The Royal Palace Museum, Wat Ho Pha Bang, Wat Xieng Thong, Wat Visoun, Wat That Luang, Wat Manolom or another dozen or so other Wat's. Massage and Spa's are another way to enjoy Luang Prabang for the not so energetic. Markets and other great eateries will see you get enough nourishment to complete the task at hand whatever you decide on. Dinner by the Mekong with a Beerlao being the perfect way to finish the day. B.
LUANG PRABANG - A half-day tour with a local operator today will include a boat trip on the Mekong to visit the spiritual caves of Pak Ou, before the beautiful Kuang Si waterfall and a local village or two among other interesting places. B.
LUANG PRABANG - After visiting the hard to get to places you now have a totally free day to explore all the nearby attractions at leisure. A joy to behold. Maybe a delicious one plate vegetarian meal from one of the buffet table restaurants for a dollar among it all. A Beerlao will always be close at hand to wash it down. B.
Tonight our Laos best tour package will stay in; UDOMXAI - Today we have a long but fascinating bus trip to a Baktrax destination to visit a northern Laos town as we leave the other tourists behind in Luang Prabang. Rather than sitting on the boat for an extra day like all the others you will get a seriously close up look at rural Laos along the way. Experience a totally different way of life than back home today. Truly amazing at times. This will be our most memorable travel day of all as we pass through many small rural villages. B. If you want to make some smiling kids even smilier then put some tennis balls in your bag that we can throw out the bus window to them as we pass by. 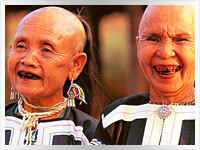 A real feel good Laos experience. Have no doubt this will put massive smiles on your face also. Books and pens etc also welcome. Tonight our Laos small group adventure tour package will stay in; PAKBENG - A much shorter bus trip will see us in Pakbeng well before the tourist boats arrive late afternoon and after the previous lot have left. There will be enough time to explore this very scenic riverside town with very few other tourists in sight. Pakbeng has grown up considerably over the years on the back of the tourist arrivals and now has enough development to get a muffin and coffee from a French bakery along with possibly the biggest croissants on earth. A relaxing Beerlao overlooking the mighty Mekong will again be close at hand. B.
Tonight our Laos small group tour will stay in; HUAY XAI - This morning we will board a usually far less crowded slow boat as we head upriver for another fascinating day's travel along the magical Mekong. The scenery is stunning as we also watch the locals going about their daily river life also. We will stay the night in the Laos border town of Huay Xai meaning a much more charming and compact town than it's Thai counterpart across the river. One last laid back Laos experience. B.
Tonight our Laos adventure holiday will stay in; CHIANG MAI - At leisure, we will start a long day as we travel back across the border to Chiang Khong. After immigration duties, we will continue on by bus to Chiang Mai for three nights of relaxation. After some long Laos travel days, the buffet breakfast and hotel pool will be a good choice but this wonderful city has so many other things to offer also. No meals. Just a few of the easy to visit sights by foot, Tuk Tuk or Sawngthaew, (share taxi) include Wat Phra Singh, Wat Chedi Luang, Wat Jet Yot and Wat Phan Tao among dozens of others. For Shoppers, it doesn't get much better than Chiang Mai. Firstly we can seek out bargains at Kad Suan Kaew Shopping Centre, Central Festival, Worowat Market, Airport Plaza and/or dozens of other speciality shops all over the place. In the evening we can then barter hard at the famous Night Bazaar. Arts and crafts, textiles, silver and clothing are but a few of the great bargains to be had in Chiang Mai. A budget trip to a dentist is another possibility as well. B.
CHIANG MAI - Another free day after a lazy buffet breakfast to continue on our merry way as we can now fully comprehend why this is indeed the clever Laos itinerary. Relax, party, sightsee or shop. Chiang Mai can provide the lot. A Thai massage perhaps? Our Laid Back Laos small group soft adventure tour package is officially over when we check out of our Chiang Mai accommodation. We will not leave you in limbo either as we also include a domestic flight to Bangkok where we began to connect with our onward travel plans. B. CLEVER CLEVER CLEVER. You will be so glad you chose Baktrax to see the Laos highlights plus having a real Laos experience in a far more laid back, unique and interesting way than anybody else. P/P, T/S; Land only. 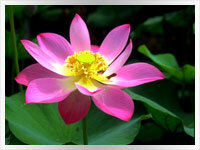 Includes domestic flights from Bangkok to Udonthani & Chiang Mai to Bangkok.